Founded in 1947, Dalian Medical University is located in the beautiful coastal Dalian. 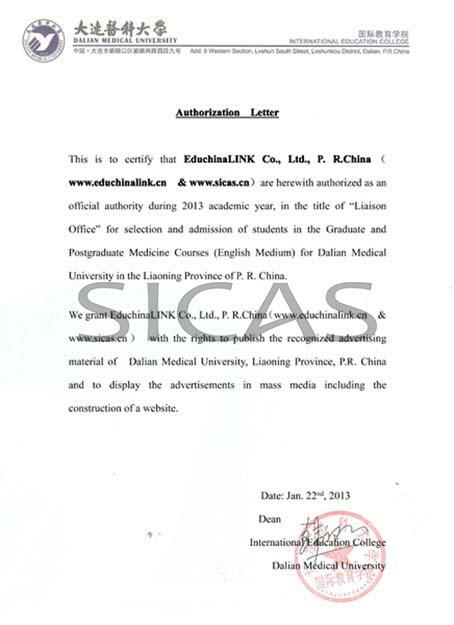 It is one of the best medical universities in China. The available MBBS (Clinical Medicine) and Stomatology (Dentistry)in English is popular among international students. Besides, DMU has established collaborative relationships with 75 universities and 38 research institutions in 27 countries and regions, including The State University of New York (America), Curtin University of Technology (Australia), State Medical University of VolgaDnepr (Ukraine) etc. Carrying forward the history and initiating a new epoch, DMU is sparing no efforts to further its study and teaching of medicine to prepare you and itself a bright future.